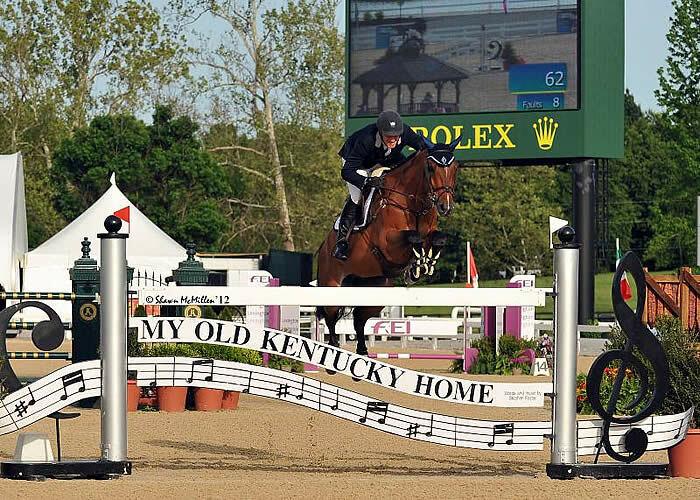 Lexington, KY – Four U.S. riders head to Argentina this week to take part in FEI Nations Cup competition at the prestigious CSIO-W Buenos Aires. The show, running November 6-11, hosts the final Nations Cup for the U.S. jumpers to compete in for 2012. American riders Charlie Jacobs, Quentin Judge, Catherine Pasmore and Alison Robitaille will be under the guidance of Norman Dello Joio as he provides veteran leadership in the role of Chef d’Equipe. Jacobs (Boston, MA) makes a return trip to CSIO-W Buenos Aires after having made his first Nations Cup appearance for the U.S. last year. The talented amateur brings his two winning partners from 2011’s competition back to Argentina this week. With Leap of Joy, Jacobs won the featured Grand Prix, the Ericsson Grand Prix. He and Deeridge Farms’ 11-year-old Holsteiner gelding look to score a repeat victory in 2012. Jacobs will also ride CMJ Sporthorse’s 13-year-old Irish gelding Flaming Star, with whom he sped to the victory in the 2011 Nissan International Speed Derby. Wellington, FL resident Judge looks to cap off a solid 2012 season in Buenos Aires. He makes his first Nations Cup appearance for the U.S. with Double H Farm’s HH Carotino. Judge was a contender in the 2012 USEF National Show Jumping Championship with the 10-year-old Holsteiner gelding jumping a clear round in Trial 2 on the way to being named to the USEF Long List for the U.S. Show Jumping Team for the 2012 Olympic Games. Pasmore (Wellington, FL) looks to showcase the skills that have propelled her to numerous top placings in the Young Rider ranks. Over the past two summers, she has gained valuable experience as part of the Show Jumping European Young Rider Tour including producing a double clear effort in Nations Cup competition at the 2012 CSIOY Hagen and as a part of the winning team at the 2011 CSIOY Lamprechtshausen. The Individual Silver medalist from the 2010 Adequan/FEI North American Junior & Young Rider Championships presented by Gotham North will ride Pasmore Stables’ eight-year-old Dutch Warmblood mare Z Canta in Buenos Aires. Rounding out the U.S. squad is veteran rider Robitaille (Upperville, VA). She brings a wealth of experience to Argentina which includes being the top placed U.S. rider at the 1998 FEI World Equestrian Games in Rome. Robitaille will ride her parents Mr. and Mrs. Bertram Firestone’s eight-year-old Wurttemberger mare Cover Girl 27 this week in Buenos Aires. In July, the pair claimed top honors in the $30,000 Grand Prix of Traverse City. The Nations Cup will take place at the CSIO-W Buenos Aires Friday, November 9. For more information about the CSIO-W Buenos Aires, visit: http://www.haraselcapricho.com/en/index.php.